I would say it is highly indicative that when a story has survived about 700 years, it must be pretty good. One of the most well-known English folktales, the story of Robin Hood has managed to resonate with people over hundreds of years and is as popular as ever today. I’ve always loved the adventure and spirit of rebellion it carries, and having tried many different versions over the years, rarely have I been disappointed. From ballads and poems to TV shows and movies, you can find a Robin Hood to suit any preferences. The genres span from aged classics, science fiction, romance, modern mysteries and stories suited for any age range. Though the legend may have survived, almost all of the details have been tweaked and added to by storytellers over the years. The earliest written versions of Robin Hood, from 1450 on, portray an outright ‘bad guy’. At best, he was a self-interested outlaw with some inkling of sympathy for the poor. His raison d’être (taking from the rich to give to the poor) is nowhere to be found until many centuries later. Robin really only became the hero we know him as today with a few texts from the 1800s, in particular The Merry Adventures of Robin Hood by Howard Pyle and Ivanhoe by Walter Scott – both very entertaining and enlightening reads. The more recent versions have changed characters and plot lines in major ways. You can find traditional characters like Will Scarlet, Alan-a-Dale, Little John, Much the Miller, Friar Tuck and Maid Marion in many different variations or not at all. So where to begin? You can always start with a classic, and there are many adaptations that stick pretty close to older versions of the legend. The Outlaws of Sherwood by Robin McKinley is one of my personal favourites that has a good mix of old and new. The library has so many different versions of Robin Hood, there really is something for everyone. If you’d like a gritty, darker Robin then you can try Steve Lawhead’s King Raven series (beginning with Hood), Angus Donald’s Outlaw Chronicles, or try a paranormal spin on the tale with Debbie Viguié’s Mark of the Black Arrow. Tim Hall’s Shadow of the Wolf is a good option for YA readers who also enjoy a supernatural and dark spin. Where you have adventure, there’s usually a spot of romance. The Huntress of Thornbeck Forest and Lady of Sherwood each have a good balance of both, as do their YA cohorts, The Forest Queen, A Daring Sacrifice and Scarlet. There are many graphic novel versions, including DC Comic’s Red Hood and the Outlaws, Outlaw by Tony Lee and for younger readers, Robin Hood: Outlaw of Sherwood Forest. One of my favourites was The Legend of Hong Kil Dong, a Korean addition aimed at younger readers. Kids and tweens have tons of options to choose from. Will in Scarlet and The Band of Merry Kids are both historical fiction with a similar feel. If you prefer female main characters, then Hawksmaid, Shadows of Sherwood and Robbie Forester and the Outlaws of Sherwood Street will be right up your alley. Younger readers will enjoy Robin Hood adapted by Annie Ingle. It also makes the perfect read-aloud for these cold winter days! When talking Robin Hood (at the office water cooler, for example) you’d be remiss not to mention some of the wonderful films. Most enter the ‘hood’ with Disney’s Robin Hood (1973), but Prince of Thieves and Men in Tights are also popular editions. The Adventures of Robin Hood is a fan favourite from 1938 and definitely wins the best wardrobe award. On my to-do list are the BBC series Robin Hood, which seems to fit into that darker, grittier category, as well as the most recent (put your hold on it now!) Robin Hood fresh out of theatres. My mind tends to ramble along a lot of random paths when I think about what I should do for this blog post, and in this case a spelling error led me to find the definition above. In computer terminology, 1 byte contains 8 bits, smaller pieces of computer memory that make up a whole character or symbol. Finding this definition led me down memory lane via YouTube. Back in the 1980s, there was a television series called Bits and Bytes on CBC. The concept was simple, Luba Goy was an instructor leading Billy Vann through the basics of operating a personal computer. Each episode focused on a concept, a byte, if you will, of information. Fast forward a whole bunch of calendar pages, and we’re still dealing with bits and bytes of input. But while computers have become more and more sophisticated at rapidly working with huge amounts of data, the evolution of the human mind hasn’t kept up in the same way. Our brains still process information in much the same way, which sometimes means taking things one bite at a time, instead of attempting to ingest an oversized lump of input. Having technology literally at our fingertips that allows us to look for any subject imaginable is a mixed blessing. Asking Siri, Alexa or Google a question will get you answers all right, but the sheer volume of the responses can be overwhelming. Not to mention that the accuracy and reliability of the source material is often questionable, to say the least. That’s where printed materials are still invaluable as the ultimate source of bite, as opposed to byte, sized chunks of information. 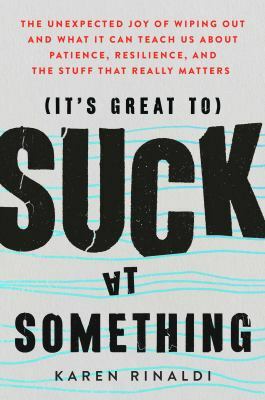 Even if you prefer to gain your information online, this is one book you don’t want to miss. The colors, the texture of the paper, the layout of the illustrations – it works on so many levels. Short story collections offer bite sized fiction reading experiences that are completely different than full length novels. The glimpses into people’s lives around the world, from a shopping mall to a prison cell all have one thing in common – your view of the world is often determined by where you’re sitting. This entire series by DK Publishing is the ultimate in giving bite sized chunks of information on a huge range of subjects. The content and format are just the right snack size to be food for thought without causing mental indigestion. Less is sometimes more when it comes to pictures, too. National Geographic has been providing breathtaking photos that are ideal for a quick visual fix. So there you go. Luba and Billy got it right, bits of bite sized input are the way to go. Climate change is shaping the future of our civilization. If action is not taken it will take the planet into an unprecedented climate future if we compare it to what has happened during all of human evolutionary history. So the scale of the changes that we are experiencing in the climate system is unprecedented. The scale of the changes that humans would have to implement in order to keep climate change under control is unprecedented. In 2016, the IPCC was asked to prepare a report on what our world will look like if we reach global warming of 1.5°C above pre-industrial levels and what we need to do to stop this from happening. 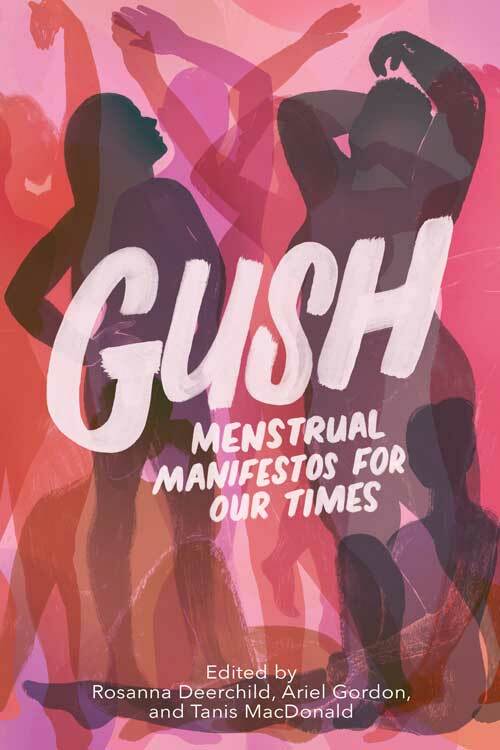 This report, released on Sunday, brings together 6,000 studies from numerous scientists (physical and social) from around the world. To say it’s a very big deal is an understatement. As I watched the release of the IPCC report (available through live video on their Facebook page), I felt shock, fear, sadness, panic, anger – a whole range of negative emotions, really. Even though climate change has been on my mind for a very long time and I worked for an environmental organization for more than a decade, I sometimes find myself temporarily immobilized by the vastness of it, particularly when big news like the IPCC’s report is issued. At the same time though I never stop asking myself what I’m going to do about it and I won’t stop asking myself this question. I know that contributing to proposed solutions will do no harm, but the research shows unequivocally that taking no action at all – remaining on the course that we’re on – definitely will. Here are some resources to get started with if you find yourself overwhelmed by this recent news or the subject generally, or if you just need some suggestions for what to do next. This list is by no means comprehensive, so if you have suggestions for good resources, please do share them in the comment section below. Recognizing that climate change is one of the most controversial issues of our time, the authors break down the science, politics, and arguments surrounding it through everyday conversation in familiar circumstances: an older couple considering whether they should reduce their carbon footprint, a first date with passionate discussion about whether one person can really change anything, and more. If you’re a parent or guardian this book provides 100 ideas to help you live an environmentally conscious life, promote awareness of climate change, and include the young people in your life every step of the way. The author, a 31-year old journalist, travelled to Silicon Valley, Washington, DC, the Tar Sands, and Paris to find out about the climate change issue and the Millennials who are battling the odds to try to solve this issue. 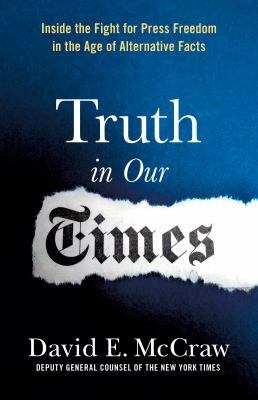 Through these two books and films, numerous speaking engagements, and the Climate Reality Project, Al Gore has been raising awareness about climate change for more than two decades. Both of these resources introduce the issue and the challenges involved in addressing it, and call on all individuals to get involved in building our sustainable future. The Manitoba Eco-Network, a non-profit organization in Winnipeg, has a project called the Climate Change Connection. It’s a great online resource. Check it out. David Suzuki has been raising awareness about climate change for decades and a lot of climate change information is available on the David Suzuki Foundation website. This article from July 2018 outlines 10 steps that individuals can take to start making a difference. To get up to speed with what’s happening in our city, check out the City of Winnipeg’s Sustainability page. Our city is part of a network of municipalities participating in a program called Partners for Climate Protection. In May 2018, the City released Winnipeg’s Climate Action Plan. To do the same regarding our province, get started with The Government of Manitoba’s Climate and Green Plan. The IPCC report presented humanity with a crucial, time-sensitive challenge. Let’s take action in small and big ways. Let’s get and remain informed. Let’s share what we find out with others. Let’s remain hopeful. And please connect with us if you need help with finding any information along the way. I am running through a decaying city, being shot at while I run. I know I am headed to a dilapidated area of a city. I am getting closer and closer. As I approach a large transport truck jackknifes in my path. Robotic animals emerge from the truck, running, trying to chase me down. I get away. I find the house I am looking for. I enter looking for the machine to get me out of this simulation. As I find it, I feel I am safe. They’ve never caught me here before. I am wrong. Just as I teleport to reality I am interrupted, sending me to an unfamiliar place. Then I wake up.… This is a dream I have had. I attribute it to reading and watching too many young adult books and movies. Call it a job hazard! Young adult books are usually fun, smart, and dynamic. After all they need to grab the attention of young people. Many adults feel embarrassed when reading YA, like there is something wrong with it, or it is somehow inferior to more adult novels. These books are not always full of teenage angst, of twisted love triangles. Teen books are full of characters questioning sexual identity, prejudice, and mental health issues, while using straight forward language. I will start my recommendations with a book full of teenage angst and twisted love triangles! 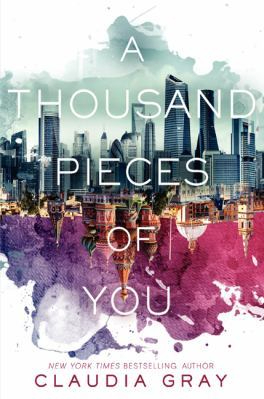 A Thousand Pieces of You. I don’t know why this has not been made to a movie yet. 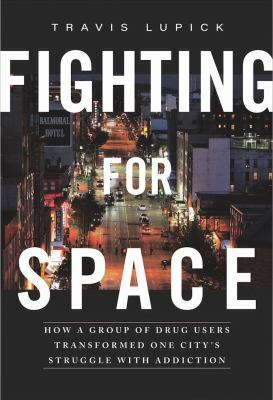 I read this book with my Youth Advisory Counsel. It has everything a good movie needs: a beautiful heroine, traveling thorough dimensions, and a juicy love triangle. 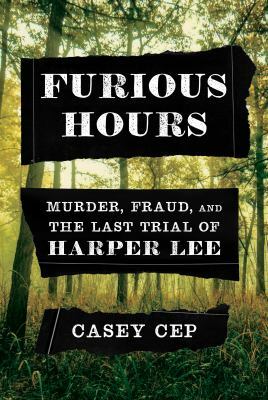 I would recommend (and have) this book to anyone looking for the next Hunger Games, Maze Runner, or Twilight. 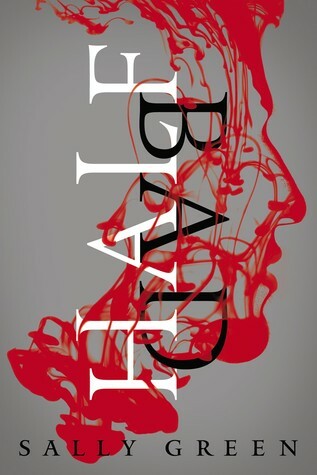 Half Bad is the story of Nathan, born half white magic and half black magic, making him a half-breed who is shunned by both. He must escape his captors, receive his gifts before his sixteenth birthday, and save the girl he loves. With just a hint of teenage angst, this was a book I could not put down. 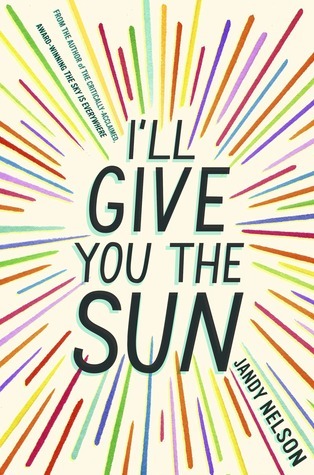 I’ll Give You the Sun, written by Jandy Nelson, is the story of twins Noah and Jude who are inseparable from birth, torn apart by their mother’s death. Noah struggles with his sexuality, falling for the boy next door. Jude, struggling with school, meets a new mentor, who may change the course of her life. Maus I & II are a fantastic and accessible way to learn about the holocaust. In this book Vladek Spiegelman, a Jewish holocaust survivor, tells his story to his son. 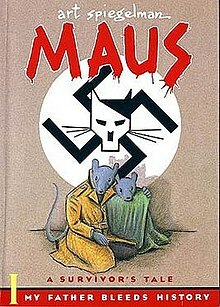 Maus uses cats (Germans), mice (Jews), dogs (Americans), and pigs (Poles) to recount Vladek’s memories. You can also look for MetaMaus, an in-depth look into the process of writing the book. 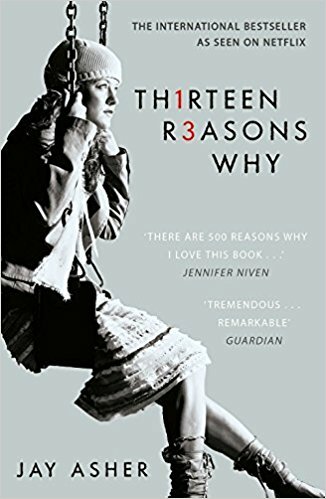 What would you do if you found out you were one of Thirteen Reasons Why someone would commit suicide? This is what Clay has to figure out. It is a beautifully told story of mental health, of trying to see the pain of someone else. I hope this post will give you permission to pick up a Young Adult book and give it a try! You will not be disappointed. Welcome, dear readers! It’s that time at the beginning of the month when you should check your podcast feeds because a BRAND NEW EPISODE of WPL’s podcast, Time to Read is now available wherever you find your podcasts, iTunes, Stitcher, and on our Time to Read website. If you want to get in on the fun, pick up next month’s read, The Long Way to a Small Angry Planet by Becky Chambers. Set in a fictional universe, Rosemary Harper escapes her old life (and accompanying secrets) and joins a multi-species crew of a spaceship called The Wayfarer. It’s Erica’s favourite book! So, be sure to let us know what you think of it. Do you agree with Erica? Even better, do you NOT agree with Erica? Email, tweet or facebook us your comments – we really love hearing from you. Watch for our discussion questions later this month, and you can email your thoughts on the book and on the podcast generally to us anytime. We can’t wait to hear what you think. Until next time, try to find some Time to Read! Posted in Book Clubs, Miscellaneous, Readers' Resources, Time to Read Podcast, What to Read Next? Can you tell me where your Horror section is? Multiple times a day I receive a question similar to this. If it isn’t about horror it might be about short stories or historical romance or thrillers. I would love to say to our customers “it is just right here, follow me”, however unlike book stores we do not have a section devoted specifically to horror or these other subgenres for many reasons. This is of course not to say that you can’t search for books that are horror novels, you just may have to go about it in a different way. First, you can ask our fabulous library staff who would be more than happy to find books that will scare the pants off you, or, you can browse our online catalogue at the library, on the bus or in the comfort of your own home (as long as it is not haunted). From our online catalogue you have the power to search for these subgenres that aren’t always on display at the library, and I will show you just how to do so. I recently finished the excellent horror novel Kill Creek by Scott Thomas. This novel was of a “haunted house” variety and I am interested in books that take place in haunted houses, or books in where a haunted house is an important aspect of the novel. How do I find more books that have haunted houses? Well there are a few ways to find them in our catalogue. One way would be to go into the record of the novel Kill Creek. From that record we see the following information: Title, Author (you can select the author’s name to find more books written by them), Publication Information and finally Subject Term. Beside and underneath “Subject Term” we have the following: Authors – Fiction. Haunted houses – Fiction. Halloween – Fiction. What is so wonderful about this feature is that the books that fall under these subjects are grouped together by these subject terms. If you select “Haunted houses – Fiction.” you will be taken to a list of books that have been given this subject term. Now this list is by no means exhaustive. Some older books don’t have these detailed records and sometimes only “Genre” is listed, but it is certainly a start. Following this, you can also look under “Genre” and go to the listing of “Horror fiction.” and find all sorts of different books under the genre horror fiction, for a much broader search result. Or, simply search “horror fiction” in the general search bar, you will get over 1800 items but you can narrow them down using the limiters on the left-hand as is shown in figure 2 below, especially if you wanted further subgenres of horror like vampires, occultism etc. Your choices are endless, but it helps seeing what subject terms we use in our catalogue to be able to find exactly what you are looking for. Finally, if you really enjoyed a particular book and would like further suggestions of read-alikes, look no further than the book’s record page. Scroll down to the bottom and where the tab says “Novelist Content” simply click on it and voilà, there will be read-alike titles, authors, reviews, etc. Just like having your very own librarian at your fingertips! If you haven’t checked out NoveList, a database we subscribe to and you have free with your library card, do so! There are tons of reading suggestions that will help you find exactly what you are looking for, and with links to our catalogue it makes it easy to find and place a hold on your book. Of course with anything like this, don’t hesitate to ask staff at your local library, we love to help! Fall programming is now upon us and the Winnipeg Public Library wants to invite you to come and learn about an exciting new resource now freely available to all Manitobans. Our World on the Manitoba Research Gateway provides access for everyone within Manitoba to unique collections of millions of pages of digitized historical content including newspapers, maps, photos, pamphlets, manuscripts and more. The library will offer two information sessions this September so you can learn how to navigate its collections of historical newspapers and periodicals, and resources related to LGBTQ history, slavery and anti-slavery movements, and Indigenous peoples. Come and learn all about it! With the last days of summer it’s time to see what new titles have arrived in the Local History Room. Margaret Laurence and Jack McClelland, Letters, offers an intimate look at the professional relationship between two pillars of Canadian literature. Margaret Lawrence was at the height of her literary fame and Jack McClelland was one of Canada’s most important publishers – both of whom helped shape modern Canadian literature through their work. Over three decades of written correspondence found in this book, we eventually see a deep friendship developing through their shared passion and commitment to Canadian writing. It’s interesting to see their initial formal writing evolve, growing in warmth and familiarity over the years. The effects of the Great Depression in Canada has remained an under-studied aspect of Canadian history until recently, but we are now seeing renewed interest in it. Drought and Depression is the sixth volume of the excellent History of the Prairies Series and contains articles on a broad range of topics related to the “Dirty Thirties” in the prairie provinces. On the back cover of the book, one can read that “between 1929 and 1932, per capita incomes fell by 49% in Manitoba, 61% in Alberta and an astounding 72% in Saskatchewan. 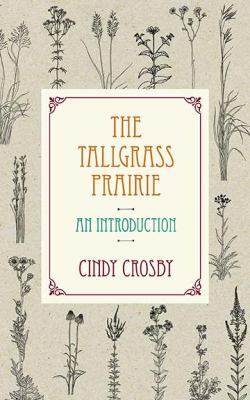 The result was enormous social and political upheaval that sent shockwaves through the rest of the country.” Familiar subjects like unemployment, ecology, strikes, and the new forces that arose in Canadian politics because of the Great Depression are covered, along with lesser known ones like soldier settlements for unemployed veterans, and the prairie novel. In Threads in the Sash: The Story of the Métis People, historian Fred Shore draws on years of research and explores the history, culture and political development of Canadian Métis from the days of the fur trade to the present. The book is written in a approachable style and tackles questions such as: Where did the term Métis come from? Why are the Métis recognized as Indigenous people? How much of Manitoba did the Métis build? If you have ever wanted to know who the Métis are, this book is highly recommended. This next title is a treat for fans of flying and Cold War history from the experience of a local man. Retired RCAF Colonel Gordon Brennand recently published his memoir Farm Boy to Fly Boy. It tells the story of his childhood in rural Manitoba during the Great Depression, his enlistment in the air force to become an accomplished jet fighter pilot in the decades following WWII, and his years being a base commander in Portage La Prairie. On the fictional side, we have received A Fist around the Heart by Heather Chisvin, a story of love and trauma between two sisters, Anna and Esther Grieve, that begins with them being sent to Winnipeg to escape the persecutions of Jews in Russia in the late 19th century. While Anna moves to New York and starts a new life for herself, Esther remains behind, slowly succumbing to mental illness despite living among the city’s wealthy. When Anna receives the unexpected news of Esther’s possible suicide on “If Day”, an unusual day in 1942 when a simulated Nazi attack took place in Winnipeg in order to raise funds for the war effort, she must return and find answers to what exactly happened to her sister. India is drowning, western Canada is burning… it’s starting to feel a little bit like a disaster movie out here. Climate change and its effects have been on my mind this summer and not just because of the heat here in Winnipeg. On a family vacation earlier this year, we visited New Orleans for the first time and also stayed in a small beachfront Mississippi town that had been devastated by Hurricane Katrina in 2005. I always like to read about places I travel, so I’ve been seeking out books about New Orleans; unsurprisingly, several of them cover the storm and its aftermath. Five Days at Memorial by Sheri Fink is a gripping, harrowing read that takes you inside Memorial Hospital in New Orleans as the floodwaters rose, the power failed, and its exhausted staff desperately tried to keep things under control. Fink discusses just how ill-prepared we are for large-scale disasters, and writes revealingly about human nature in crisis. 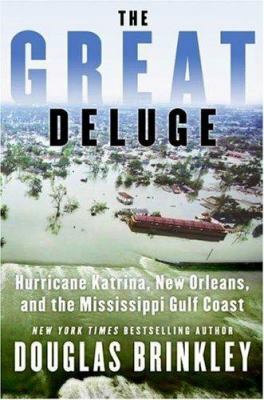 The Great Deluge by Douglas Brinkley (a New Orleans resident and professor of history at Tulane University) tells the story of Katrina from every angle. He covers how and why both the local and federal infrastructure was so ill-prepared for the storm everyone knew was coming, and shows how hard it struck not only the city, but the surrounding Gulf Coast. If fiction is more your style, check out the titles below. Some of them are speculative fiction that extrapolates what a world riven by more destructive climate forces might look like; others are literary works that show the impact of this slow-moving disaster on ordinary people today. The waters rose, submerging New York City–every street became a canal, every skyscraper an island–but the residents adapted and it remained the bustling, vibrant metropolis it had always been, though changed forever. These stories of climate fiction (“cli-fi”) feature perspectives by diverse Canadian writers of short fiction, science fiction, fantasy, and futurist works. 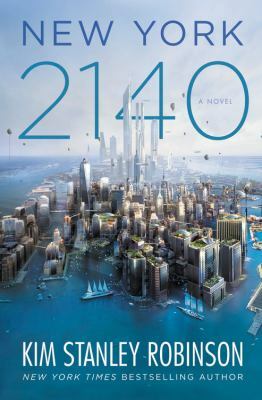 An anthology of twenty-six short stories exploring the future of climate change and its effects on life on Earth that includes contributions from Margaret Atwood, Paolo Bacigalupi, and Kim Stanley Robinson. Cooper Gosling is adrift at thirty, unmoored by a family tragedy and floundering in her career as a painter. 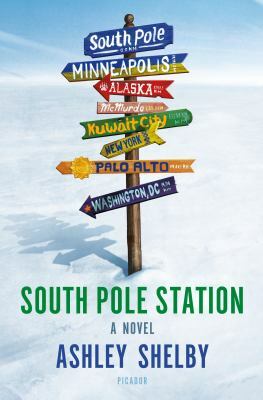 So she applies to the National Science Foundation Artists & Writers Program and flees to Antarctica — the bottom of the Earth — where she encounters a group of misfits motivated by desires as ambiguous as her own. It’s podcast day! This month the panel increases to 5 as we invite Monique from Information Services at Millennium to join in on the discussion for Son of a Trickster. You can find the latest episode, along with all of our previous episodes in your favourite podcast app, iTunes, Stitcher, or at our website at wpl-podcast.winnipeg.ca. This month the discussion includes favourite pet stories, whether we think MAGIC IS REAL (or not), and how much vomit is too much vomit in a story. We even get around to discussing Governor General Awards Finalist Eden Robinson’s novel for a bit too. We hope you enjoy it. Please give us a rate and review on iTunes. A good rating and review really helps to make future readers and listeners find our podcast in the ocean of info out there. 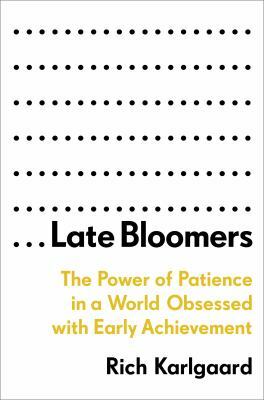 Now’s the perfect time to get a jump on next month’s book. 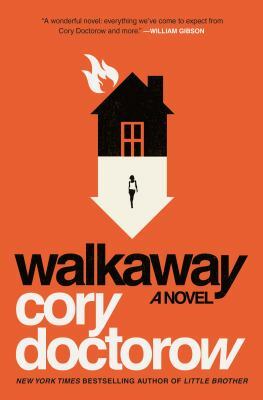 It’s Walkaway by Cory Doctorow. Doctorow writes about a dystopian near future where “Walkaways” are people who leave the default world of tech behind, and live and create in a frontier-like makerspace world where objects are created through 3D printers and group-wiki style decisions. With the recent opening of the ideaMILL on the 3rd Floor of the Millennium Library and the issue of “ghost guns” and 3D printers in the news, Doctorow’s world isn’t that far away from our own. We’ll send out some discussion questions before we record our next episode at the end of August, but feel free to email, tweet or facebook us your thoughts ahead of time. We love hearing from you and will include your comments as part of the discussion on the show. Trevor and the Time to Read gang. Posted in Book Clubs, Miscellaneous, Readers' Resources, What to Read Next?